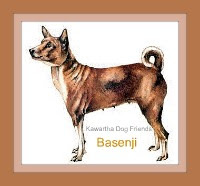 Kawartha Dog Sitter Blog: Free Dog Food! Dog sitting in the Kawarthas in Ontario. A blog with a collection of doggy articles,and stories of our adventures in dog sitting. Welcome to our dog sitter blog. New here? You'll want to get our free email updates! Subscribe to Kawartha Dog Sitter Blog Email by Email We hope you will find this blog of a variety of things doggy, helpful and entertaining. Looking for something? Dig here! Multi Menu Dog Food Freebie! MultiMenu offers 100% Canadian made dog and cat food delivered to your home.MultiMenu is based in Quebec, but has franchises all over Canada If you are lucky enough to live in an area serviced by a franchise,they will deliver a free one kg bag of dog or cat food to new customers. Don’t live in their franchise area? MultiMenu is having a Facebook giveaway too! When MultiMenu reaches 300 Likes, Multi Menu will be giving one lucky winner a large bag of cat or dog food. Of course the winner cannot work for or be related to a someone who works for or owns a franchise. Help them to get over the hump by sharing this post with all of our friends in Canada! Here’s some info on the company I found on a site in BC. Multi Menu offers you pet food and now over 11,000 toys, treats and accessories for any type of pet. These are all delivered free to your doorstep. No need to transport large bags of food or litter! Our food does not contain wheat gluten, by-products or artificial preservatives. Our pet food manufacturer is certified HACCP (Hazard Analysis Critical Control Points). This program certifies that the food consumed by your pet is conceived according to the highest standards of quality. Multi Menu pet foods were specially formulated to ensure your pet's optimum health. They provide all the vitamins and minerals necessary for all stages of development, and all this at a good price. Multi Menu has custom made a recipe just for them. Our different flavours are adapted to your pet's special needs. Should they be young, old, finicky, hyper-active or lazy. Tail wagging comments will be posted after moderating. Fetch Our Blog to Your eMail! It's Free! Alert ! Ontario Abusive Veterinarian Statement Creates Questions About Training ! #ad 6 Meaningful Dog Lover Gifts ! What size of dogs own you? On Facebook? Put your furry face here!